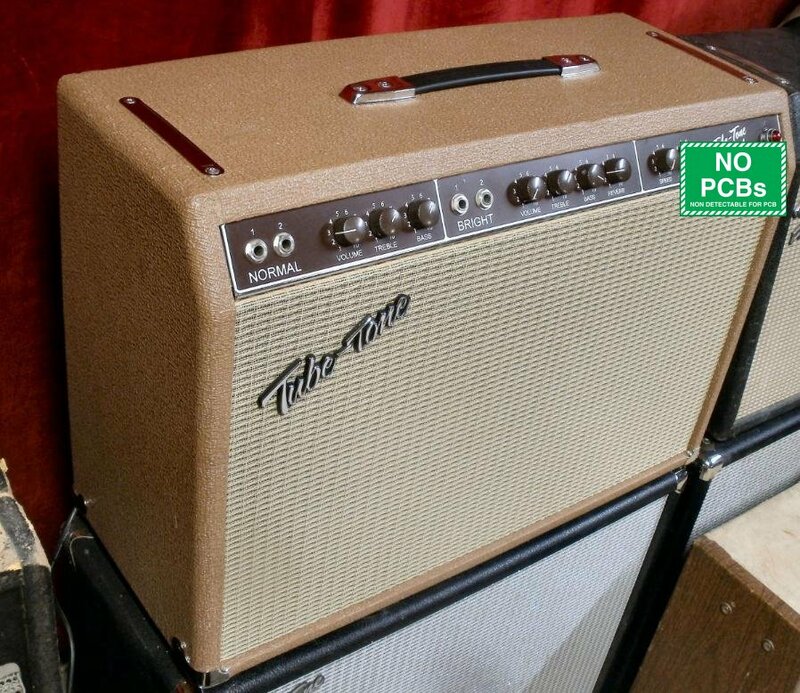 Most brown face era F____ amps seem to be the perfect blend between the old 'dirty' tone tweed circuits and the 'clean' blackface circuits, giving the sweetest tones, in our opinion. The clean has a nice 'warmth' to it with a nice bark and growl when you really dig in. The brown V_br_v_rb 6G16 was the only brown face F___ with reverb. 45 watts with (2) 10" Weber 10F150T speakers. This uses Leo's lead dress with added grounding buss, for the best signal-to-noise ratio which gives the quietest idle hum. Wired following Leo's schematic for the Vibroverb 6G16 (1960-1963) to the letter. Has impedance selector for 2, 4, or 8 ohms for using various extra cabinets. 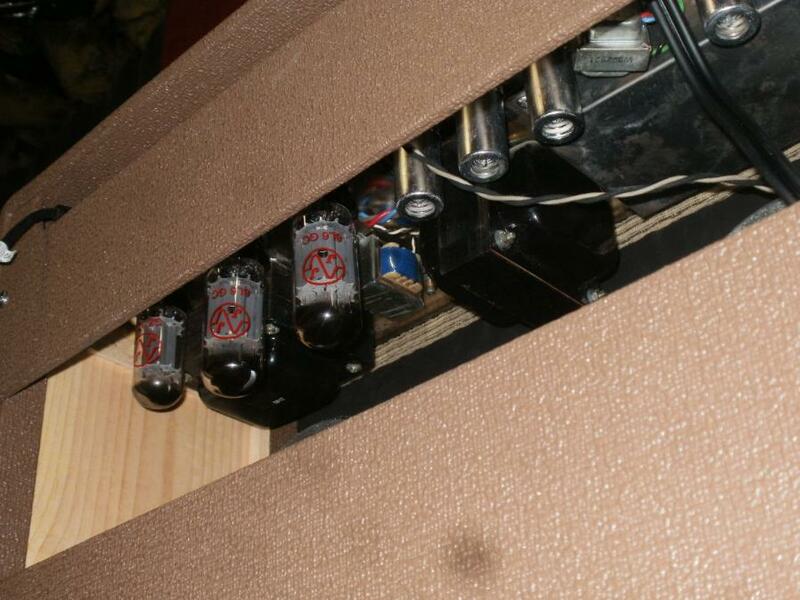 This amp has a separate bias adjustment pot for each power tube. In the 60s', tubes were made with tight tolerances for high quality tubes that all had about the same power output. Today's tubes can vary considerably in plate current. They need to be ordered in matched sets for optimal bias voltage adjustments. With our innovation using a bias pot for each tube, you never need to pay extra for a matched set of tubes again. When power tubes are changed, the tech simply replaces the tubes, and bias voltage is then adjusted for each tube separately for exact matching of output current yielding the optimal power and life from the power tubes. Dimensions: 25" x 18" x 10 1/2"
This is deposit only. Balance due when ready for shipping. Total price shipped, in continental states is $1790. Total price to other countries is $1730 plus shipping. Specify voltage required, jewel light color and any mods when ordering. CA residents add CA sales tax.